The Intermec CK31 mobile data collection terminal continues the tradition of delivering on Intermec’s promise of rugged, reliable computing, thoughtful ergonomic design and high throughput. The CK31 delivers the right blend of features and performance with the Microsoft Windows CE .NET operating system to provide the optimum combination of real time operation, tools support and standard connectivity. Contact us today about buying, servicing, renting or selling CK31 gear! We recommend the CK31 for scan intensive applications due to it’s EX25 scan engine. This technology allows workers to scan a barcode from as little as a few inches to as far as 15 yards. It is a smarter scan engine that will allow you to achieve richer results than with less powerfully equipped handheld computers. The CK31 is extremely rugged and capable of withstanding the abuse of a warehouse environment. The sleek design means you can scan more without getting tired. Add the optional pistol grip and you have a device that is easy to aim for those hard to scan barcodes.Contact us today about buying, servicing, renting or selling CK31 gear! Intermec has introduced its latest and advanced data collection terminal: CK31. 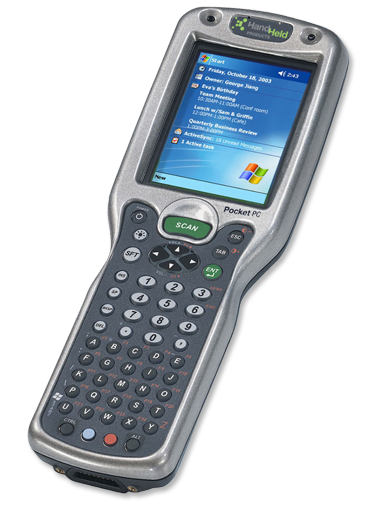 It’s based on Windows CE.NET operating system having a standard 64MB RAM. Moreover, Intermec CK31 is housed with a long range or advanced long range laser scanner and also if you want to complete your data collection tasks quickly and accurately, then you can go for it. Throwing light on its features, it includes user-expandable SD card slot memory, XScale processor and much more.